The RRS held our monthly meeting on September 8, 2017. We got a late start to the meeting, but I did add a simple 9-inch clock to the room at the start. This will be a useful feature in future meetings. After the treasury report, we discussed suppliers for making our rocket parts. It was decided that we stick to local suppliers as this has been our tradition and southern California has many great options. The conversation turned to the upcoming alpha build event with LAPD CSP. This second event with a new batch of students from Imperial Courts will run on five Friday’s starting September 15th. The launch event will take place on Saturday, October 21st. USC RPL will be helping at the first session of the next RRS build event. USC was not able to come to this month’s meeting to give us status on their upcoming projects. The RRS usually does demonstrations during the event like the CO2 cartridge rocket on a string to demonstrate the principle of jet propulsion. We discussed other demonstrations such as the vinegar-baking soda rocket. 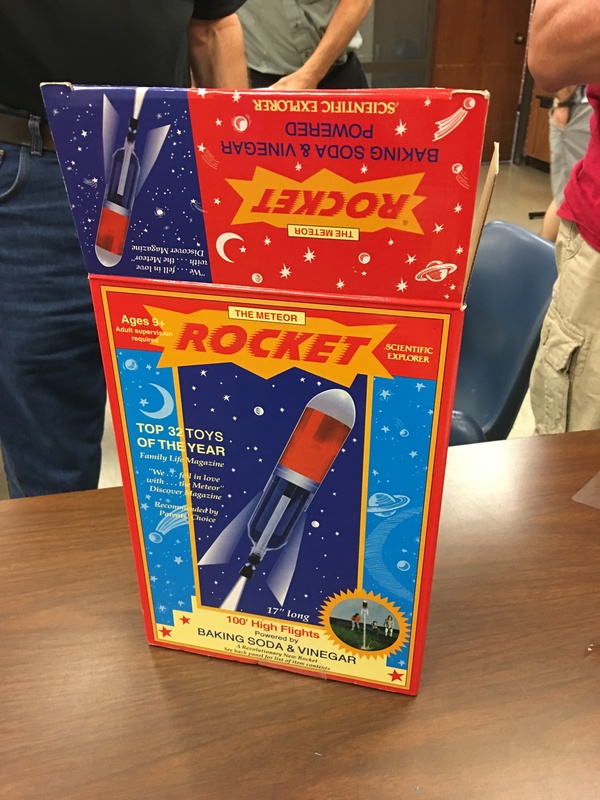 Further, we discussed some of the things that could be done better such as to focus less on the history of rocketry and spend more time explaining fundamental concepts from physics and science. The RRS is continually improving our program to make better presentations. Frank had said that USC plans to fire several motors at the MTA in the coming months. The MTA should be available for the October 21st launch. UCLA will also be working on their liquid rocket this fall. Osvaldo showed the launch footage from the camera mounted on LAPD’s alpha. The spin rate from the camera hanging off the fin was much faster making it tough to see much but in individual frames you can make out buildings below getting smaller. The bright sun from the clear skies unfortunately obscured any view as the rocket descended. Osvaldo is working on the film footage and we should have something compiled soon. We need to start mounting the camera internally rather than hanging it externally on the fin as has been hastily done in the past. I have been working with Alastair on such a setup inside a payload tube. The “808” keychain cameras come from a range of suppliers with more and more features including high resolution video. I’m thinking of getting a few for myself. They seem to be very robust with a long running time with the XD memory card. There have been several other payload ideas discussed for upcoming alphas. Osvaldo and I discussed improvements to my timer circuit to go with my parachute system. During the first LAPD CSP event with the students of Jordan Downs, a few local news crews had filmed the event including KTLA 5 and Telemundo 34. Telemundo was kind enough to give us the segment they broadcast on July 14th. It was in Spanish with Spanish subtitles so I hope we can work on making an English-subtitled version and post it on our YouTube channel. Bill Janczewski was going to work on a new design for an RRS membership card. Although the RRS does not issue membership cards to our members as they had in the past, some of our members have indicated interest. Perhaps by special request, we can have a membership card available for a nominal cost (in addition to paying your annual dues). The proceeds would go to fund the society projects. Right now, this is a task in progress. For those that are interested, let me know. I would like to start gathering articles for the upcoming 75th anniversary newsletter. I’ve already spoken to a few of our contributors. I’d like to have all submittals by December 15th. The anniversary newsletter will be issued January 6, 2018, and will be available in print only. The price per copy is still under discussion, but all proceeds fund the society. 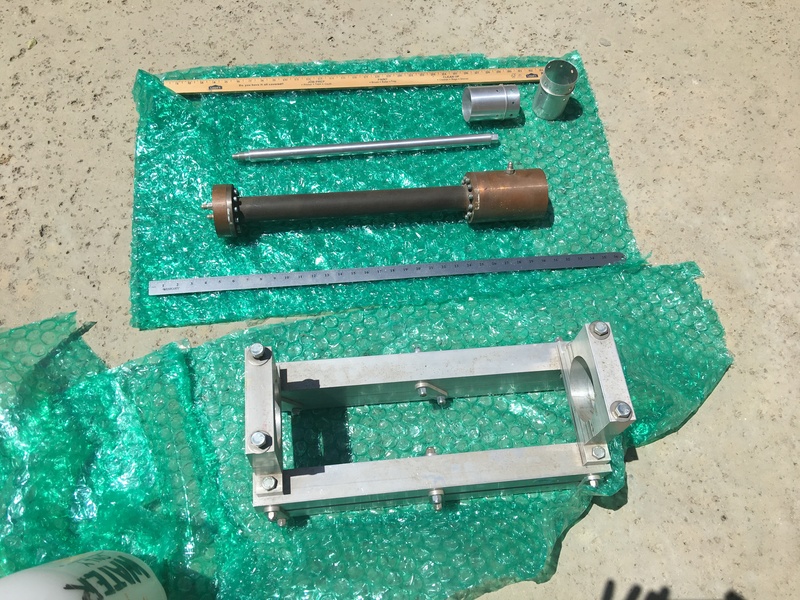 Bill Claybaugh donated his solid propellant testing rig and a thrust stand to the society. We are thankful for his donation. Our director of research, Richard Garcia, is going to work with this hardware to make use of it soon at the MTA. Steve Majdali was kind enough to donate a quantity of silicone oil to the society. 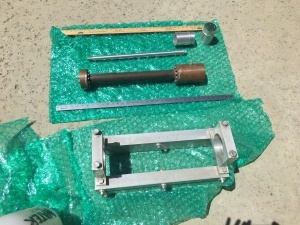 This material is useful as a mold release compound for the solid propellant grain casting process. As a final entry, I was able to meet with Barbara Cipperly, the widow of one of the RRS founders, John Cipperly. John passed away December 31, 2013, at his home in La Crescenta. I am working with Barbara to get a brief biography for our “History” and “Founders” tab on the RRS website. I hope to have the final version posted soon. 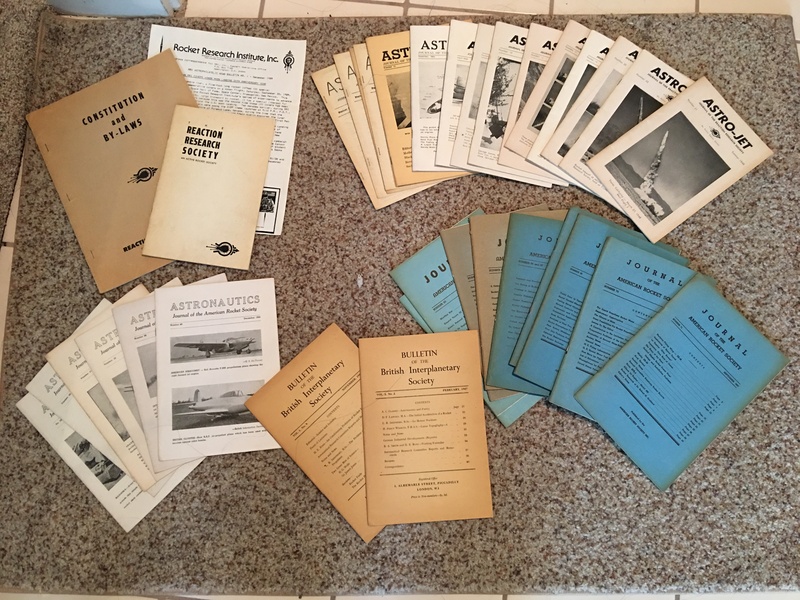 He had several newsletters saved over the decades and the RRS was glad to accept these from the Cipperly for the society archives. The meeting adjourned late at 9:20pm. Our next meeting will be Friday, October 13, 2017. Frank had said that we’ll start to talk about the upcoming 75th anniversary symposium in the next meeting. Also, we’re due for an update on the SuperDosa project. I’ll be posting next month’s agenda on the forum. I would recommend all of our members go to the website “rrs.org” regularly. If there are any questions or corrections, let me know. This entry was posted in Meeting Report and tagged LAPD, LAPD CSP, Telemundo, USC, USC RPL, YouTube by Dave. Bookmark the permalink.